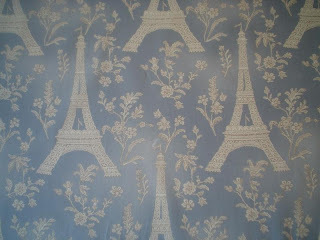 This week I have aquired 3m of some lovely Paris-y Eiffel Tower fabric. Its a kind of lawn, its not that thick but it feels nice and soft. I think its a great pattern, but I don't know if the colour will suit me. I'm thinking possibly a skirt?